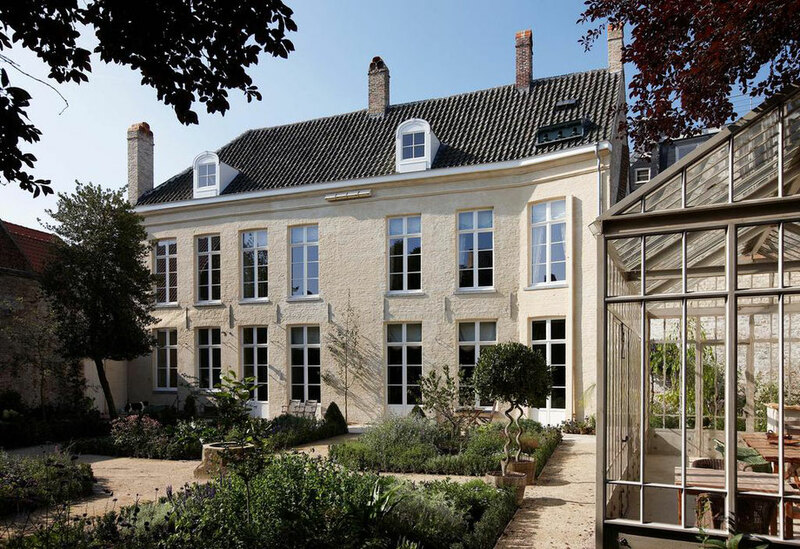 B&B De Corenbloem is a comfortable and luxury stay in one of Europe's most beautiful towns: Bruges. The house offers a small and selected variety of spacious suites and rooms, all stylish and elegant. 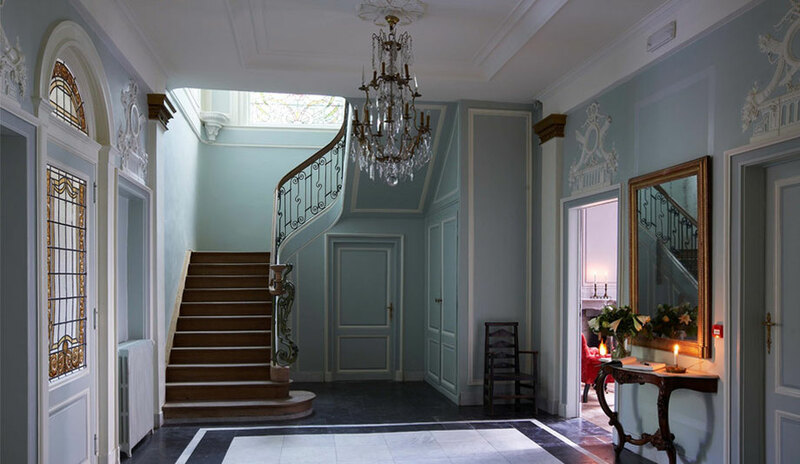 A spacious central vestibule and staircase gives access to salons, the dining-room and the "Peer Gynt" suite. 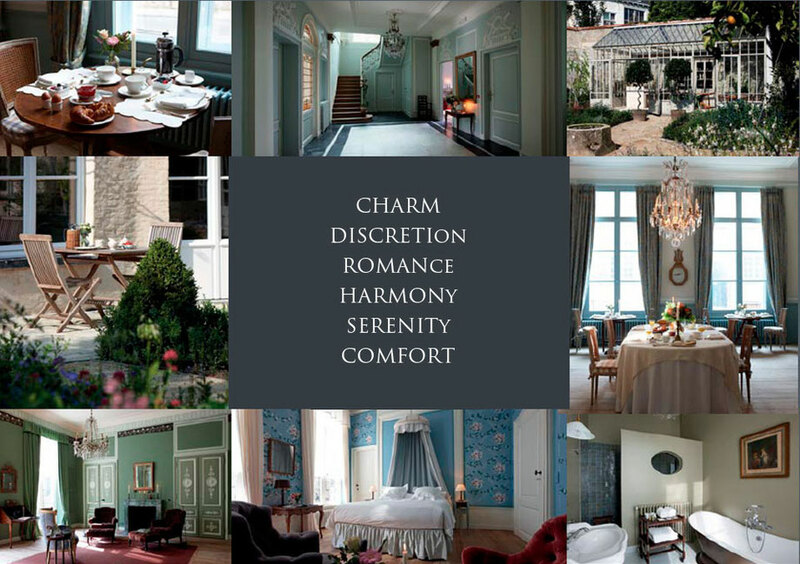 The 1st floor houses the "Empire" and "Garden" suites and the "Rocaille and "Bouquets" rooms. The mansion offers a private and traditional garden with a 19th century conservatory. It hosts a significant number of special plants and trees. When weather permits we will serve breakfast outside. B&B De Corenbloem is perfectly located on walking distance from the centre of Bruges, with the famous "Grote Markt" at only 400 meters. The centre of Bruges is entirely listed UNESCO world heritage. Headlines such as "Begijnhof", "Belfort", and "Bonifacius bridge" may not be skipped. Museums, galleries, all kinds of music, festivals and outstanding restaurants, terraces and shops! Bruges is best discovered by foot, but also by bike, boat, horse carriage and even by hot air balloon. And the perfect place to stay is B&B De Corenbloem! We give you a warm welcome. The core of house De Corenbloem is late medieval. In the 18th century it was refurbished for the first time. The guest drawing-room for example is partly Rococó and partly Louis XVI. Around 1810 the house obtained its neo-classical character with a spacious empire room and a stately vestibule. Everything has been carefully preserved. From the old doors to the original floorboards and mantelpieces. The house kept its discretion, silence and style. A jewel close to the town centre. The discrete beauty of the dining-room is enhanced by the royal chandelier, the beautiful curtains, the gilded framework and the chimney. The dining-room is open all day. Each morning we start the day with a breakfast in this majestic room. The buffet includes different kinds of freshly baked bread, selection of fresh fruit, ham, cheese and eggs as well as coffee, tea and orange juice. Tea and coffee making facilities are available during your stay and there is an honesty bar at your disposition with a selection of refreshments, famous Belgium beers, nice wines and a sparkling champagne. The previous inhabitants called this room the music room. It was given its name by the Louis XVI trophies over the doors. The mantelpiece and the stucco are in Rococó style. Reading a good book or enjoying a drink in here and relaxing by the open fire is exceptionally cosy. The garden is surrounded by high age-old walls still betraying the traces of medieval buildings. In the garden you can hear the warm ringing of the Belfry bells of Bruges. Otherwise there is nothing then silence. The conservatory has been build of steel and glass. It is an early 19th century design. For the repainting of the walls and the restoration of the gold leaf and the antique doors former owners commissioned the art historian Angèle Boddaert-Devletian. She is renowned as a designer and restorer of historical interiors. Found traces inspired her to design and repaint the walls of the rooms with elegant motives and trompe l’oeil frames. She also restored the doors with faux bois and applied the gold leaf. www.angeleboddaert.com.